On New Year’s Day in 1997, hip hop icon Russell Simmons made a life altering decision: He cut all animal products from his diet and embraced veganism. For Simmons, the change to a vegan diet began with his spiritual journey into the world of meditation and yoga. Having compassion for animals, along with his practice of non-harming, made the transition to veganism a natural effect of his growing mindfulness. Inspired by the film Diet for a New America, Simmons decided to give up animal products for the benefit of his own health and the health of the environment. After becoming vegan, Russell Simmons noticed an increase in his energy level. He no longer felt tired after meals, had increased stamina, and put in more productive work days. Simmons now describes himself as full of energy. The benefits to a vegan lifestyle aren’t limited to individual health. Veganism is good for the environment, too. Meat and dairy farming are two of the largest contributors to global warming. These industries pollute waterways and have a devastating impact on the health of our planet. 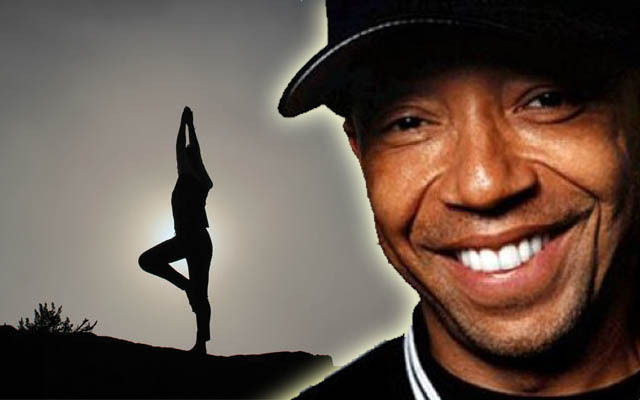 Russell Simmons found that being mindful eating and looking at food choices in a new way allowed him to remove himself from the meat and dairy industry food chain. He felt good about not contributing to the environmental disaster of industrial farming and the suffering of billions of animals. 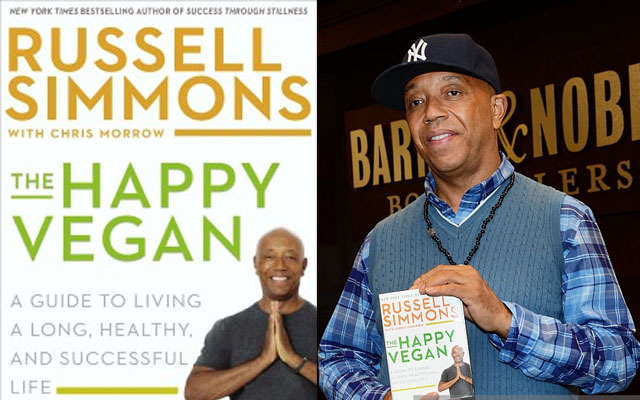 As he became more passionate about veganism, Russell Simmons wanted to help educate others. Only about 2% of Americans are vegan. With the pervasive popularity and entrenched ideas of the Western Diet, Simmons sees the vegan lifestyle as a way to save lives. To help achieve this goal, Simmons wrote The Happy Vegan, a chronicle of his journey into veganism. Simmons hopes others embrace a vegan diet in order to live longer, healthier lives, stop supporting the meat and dairy industries, and improve the way people feel emotionally and spiritually. Simmons wants people to know they can control their own health through mindful food choices rather than thinking their health is controlled by genetics and family history. 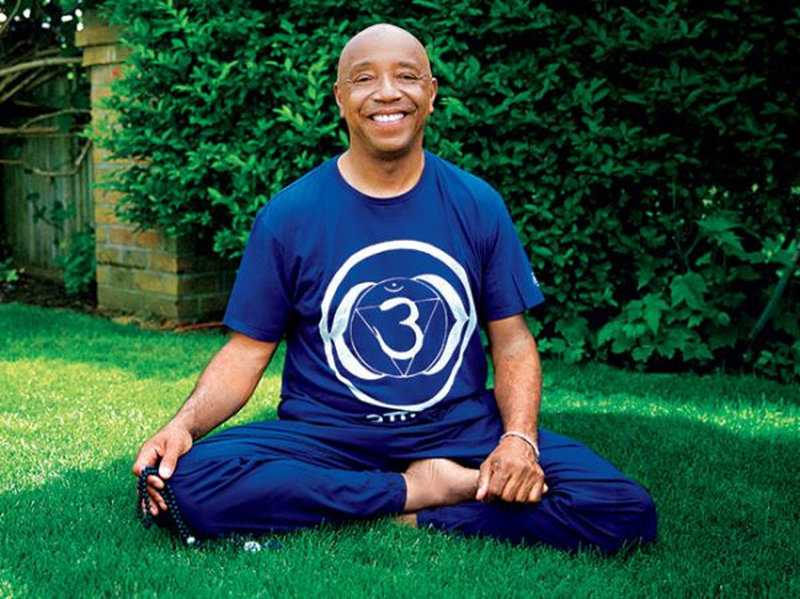 Russell Simmons firmly believes in three components that help him get the most out of life and give the best he can to the world: a plant-based diet, meditating, and practicing yoga. He attributes his current health and high energy to these three facets of his life and actively works to promote these ideals as not only livable, but enjoyable.